For those (most) of us who don’t relish the thought of crowded, raucous tourists snapping selfies and getting drunk on Beale Street, Mollie Fontaine Lounge is an oasis in the desert. It has just enough soul to be Memphis and just enough sophistication to be chic. This is the nightspot that locals will recommend for the best Memphis experience. Given that it’s in the shell of an old Victorian home right off the beaten path, Mollie Fontaine takes you back to a time past and is secluded enough to feel like the perfect little getaway. I think Beale St. is something you have to do once, but it’s not a place I normally recommend to visiting friends. Just like Bourbon Street, it’s become a tourist destination that most locals tend to avoid. 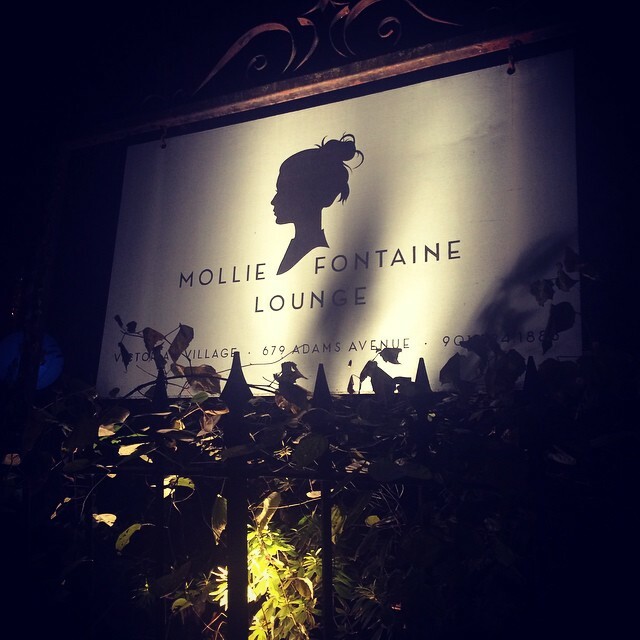 I’d recommend hitting Mollie Fontaine Lounge instead. It’s a great two-story piano bar in a gorgeous (and slightly creepy) Victorian mansion. You’ll find mostly locals there, good drinks, and they’re open late.